The Syrian army regained control over several northwestern villages from insurgents on a plain crucial for defending costal areas that Damascus holds, a group monitoring the war said on Saturday. The military is battling insurgents including al Qaeda's Syria wing Nusra Front and the Islamist group Ahrar al-Sham for control of Sahl al-Ghab, a plain that runs alongside the western coastal mountains as well as lying close to Hama city. These included Khirbat al-Naqus and Mansoura as well as surrounding areas, it said. The army had also won back Ziyadia village and Zezoun power station, one of the country's major thermal power plants, which Nusra Front said it had captured earlier in the week. A total of 39 combatants had been killed in the recent violence, the Observatory said. State news agency SANA reported late on Friday that the army had taken control of Ziyadia and Zezoun as well as other locations and had "eliminated many terrorists". Insurgents have made advances against the military in several parts of Syria in recent months, including capturing most of Idlib province to the northeast of Sahl al-Ghab plain. Syrian President Bashar al-Assad alluded to military setbacks last Sunday when he said the army had been forced to give up some areas in order to hold onto more important ones during the four-year conflict. 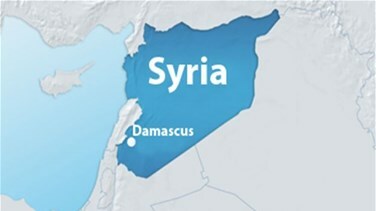 Syria's western flank, which runs in part along the Mediterranean coast and Lebanese border, is home to major cities including Damascus and is seen as crucial for Assad's hold on power.